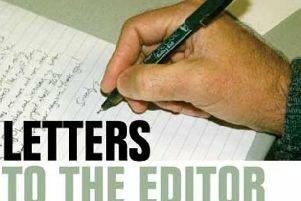 I was interested to see the letter from T Thepes (News Post Leader, April 7), in which he makes some valid points about potential savings to return some funding to the most vulnerable. Unfortunately, his plan involves reducing salaries of the senior management team at County Hall and getting rid of parking enforcement officers. I say unfortunately as in the real world of employment law, salary differentials and employment contracts, the council cannot simply reduce the salaries of its employees. If it tried to reduce the salaries of managers that would have a knock-on effect to reduce the salaries of everyone else within the team. As council employees have seen a dramatic reduction in the numbers of staff, and as public sector employees have had a wage freeze, we would be asking those who keep our services and amenities running to do their already increased workload for even less money. Even if these measures were possible, the correspondent identifies a possible saving of £3m. This government is due to cut the funding to Northumberland by £58m over the next year. Consequently, I reiterate the point in my original letter – cuts to our local services are due to austerity, which is an ideological choice made by this government. The result of that choice is a restriction on what the council is able to do. Whereas people may always disagree on how the council spends its pennies, the real issue is the pounds that this government is taking out of the local economy and denying the council a choice on the services it is able to provide for the local people. This brings me on to my next point. I received through my letter box a publication by the local Conservative Party. In this the headline is critical of Labour’s decision to move the council HQ. I find this an appalling insult to the electorate. A government audit report has praised the council for the prudent approach to resolving the money pit that Morpeth County Hall has become. The move to Ashington has many benefits and in the long term will be more financially beneficial than doing nothing, which is why I find the Conservative attitude so annoying. It is quick to throw mud and complain, but it does not offer any constructive alternative. It does not say what it would have done to prevent the huge costs that Morpeth County Hall is accruing, and it does not accept responsibility that cuts to essential services and a reduction in our fire service is due to the austerity cuts imposed by its own chancellor. I think it is about time that it actually put forward a plan to say what it would do, rather than throwing sticks from the sidelines. I also think our local Conservative representatives should come clean and declare whether they really support our fire service, care facilities and amenities – or do they agree with George Osborne and his drive to impose such savage cuts that services we once took for granted are now all under threat.